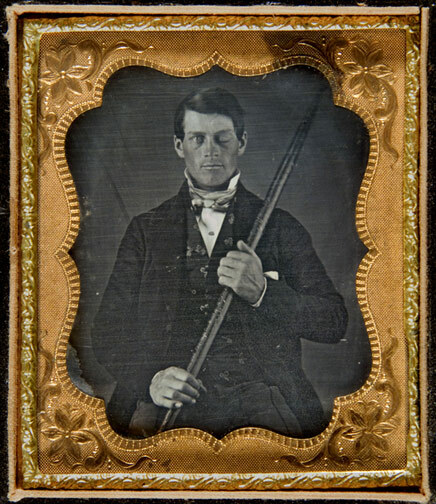 Long known as “the American crowbar case”—once termed “the case which more than all others is calculated to excite our wonder, impair the value of prognosis, and even to subvert our physiological doctrines” —Phineas Gage influenced 19th century thinking about the brain and the localization of its functions, and was perhaps the first case suggesting that damage to specific regions of the brain might affect personality and behavior. Gage is a fixture in the curricula of neurology, psychology and related disciplines, and is frequently mentioned in books and academic papers; he also has a minor place in popular culture. Relative to this celebrity, the body of known fact about the case is remarkably small, so that historically it has been cited in support of mutually incompatible theories of the brain. A survey of accounts of the case has found that even modern scientific presentations are often exaggerated and distorted in significant ways, frequently contradicting the established facts. Discovery of a daguerreotype portrait of Gage—”handsome…well dressed and confident, even proud,” and holding the tamping iron which injured him—was announced in July 2009 (see right). One researcher points to it as consistent with a “social recovery” hypothesis, under which Gage’s most serious mental changes may have existed for only a limited time after the accident, so that in later life he was much more functional, and socially much better adapted, than has been thought. This is “Boulevard du Temple”, the first ever photograph of a person. The photo was taken by Louis Daguerre in late 1838 or early 1839 in Paris. It is of a busy street, but because exposure time was over ten minutes, the city traffic was moving too much to appear. The exception is a man in the bottom left corner, who stood still getting his boots polished long enough to show. Via Blake Andrews blog i found this video, which shows an event that took place at New York’s Grand Central Station and could be read as a hommage to “Boulevard du Temple”. Downshift in a constantly rushing environment. In his blog-post “traces” Nicholas Jenkins (literary historian at Stanford University) deals with the question of absence and presence of people in the daguerreotype “Boulevard du Temple”. Chronologie zur Geschichte der Fotografie.